Bringing a new bundle of joy into the world is a memory you'll always want to cherish. 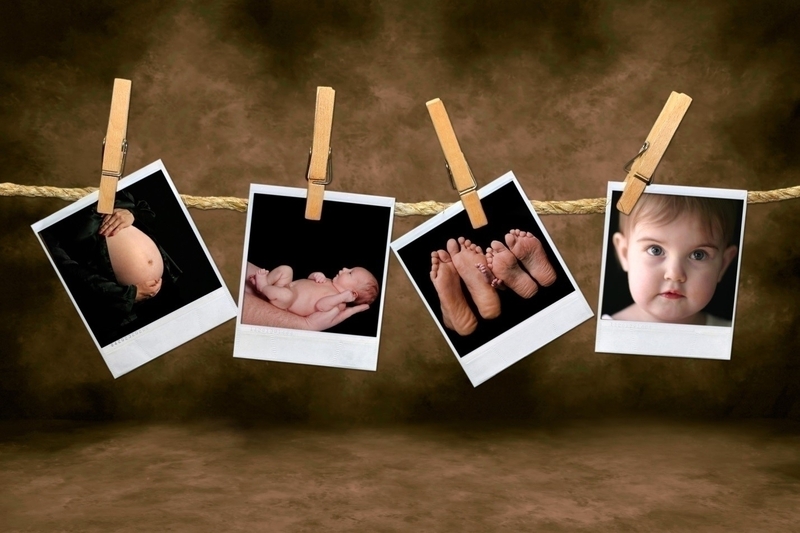 Here's how a newborn photographer can help you preserve those memories. Having a baby is an experience you'll never forget. But their newborn looks change quickly. And it may be hard to remember exactly what their freshly born face looks like. The moments that are caught during a newborn photo shoot are ones you'll never be able to get back. And you'll want the photos to be the best pictures anyone could ever take. Because of this, you'll want to have a newborn photographer take photos of your baby as soon as possible. If you're still on the fence and not sure if hiring a newborn photographer is worth it, then continue reading. We've put together a guide on how newborn photography can help you preserve all those precious memories. When a baby is first born, their skin color is a shade of blue or purple. But as they take more and more breaths, it begins to transform into a red. And as they grow older, all those adorable wrinkles caused from being submerged in fluids for 9 months fade away. Another feature on your baby that will change quickly is his or her facial features and hair. Even if your little one is born with a head full of hair, there's a good chance that their head of hair might not remain full. As they grow older, their hormones change causing them to lose hair. They can also lose hair from laying down or sitting with their head against something. So with all these changes in near sight, it's important to have new born hospital pictures taken. We all have our own ways of snapping a photo. Whether it be on Instagram, Snapchat, or just a plain cellphone camera. But no matter which option of at-home photography you like best, nothing compares to the quality that a newborn photographer can offer. Your baby's face is priceless and because of this, professional photos are the only kinds of pictures deserving of your little one. Not only is the quality better with professional photos, but some companies even offer printing services to ensure that your infant photos are taken off a device and put into a frame. When it comes to your children, you want to have them displayed all throughout your home, office, or other space. Professional newborn photographers will give you the tools you need to ensure this is made possible. Let's face it: we can't all be blessed with a sense of creativity. And even if we do have a bit of creative flair, nothing compares to the amount of creativity that a professional photographer will bring. Your newborn photographer will come full force with plenty of newborn photo ideas. They won't only have ideas of how to position your baby or how to position yourself with your baby but they'll also come with fun props, backdrops, and more. They'll be able to come up with different ideas that you probably would never think of yourself. And they'll be welcoming towards any ideas and props that you have of your own. More often than not, when parents choose not to have professional infant photography done they end up living with regret. After the years come and go, there's one thing that never moves on: your family photo album. It's probably one of the only things you keep as your child grows older and older. Toys, clothes, and shoes are all grown out of faster than we'd like them to be. But a photo album is never grown out of and that is why it's so important to take the photos at every step in your child's life to fill it with. And one of the most important milestones to capture is their birth. Eliminate regrets down the road by hiring a professional newborn photographer to take pictures while you're still in the hospital or freshly out. You may regret not getting these pictures taken, but one thing you'll never regret is deciding to have them done. If you're telling yourself that you don't need a photographer because you can take the pictures yourself, later on, don't listen! It's too easy to tell yourself that you'll do something, and then never find the time to actually do it. And it's even easier to forget about a task when you have a newborn at home to take care of. With all of the diaper changes, feeding times, bath time moments, and everything in between doing a photo shoot on your own may be the last thing you have time for. And trying to put together something by yourself that's going to look professional and super cute is added stress that you don't need. Having a professional come in reduces the amount of stress and makes the process enjoyable. If you recently had a baby or are planning on delivering your baby soon, then you need to hire a newborn photographer. The sooner you get it set up, the better. If your baby isn't born yet, consider contacting one ahead of time to plan out a hospital visit. If you've already given birth to your baby, then contact a professional photographer as soon as possible to ensure that you don't miss out on capturing your infant in the earliest stages. You'll be happy you did. And for more on everything you need to know about your baby's growth spurts, click here to check out the blog.